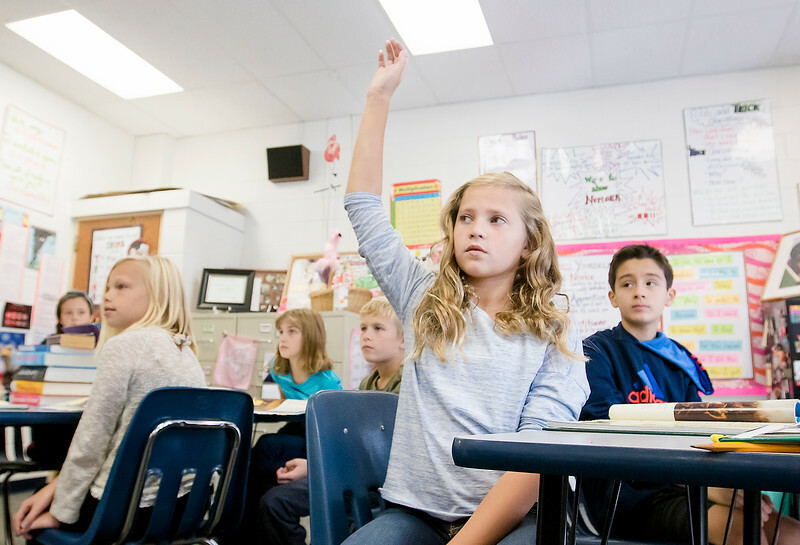 Fifth-grader Emily Churak, 10, participates in a class discussion about different perspectives during class at Fox River Grove Middle School Wednesday, October 14, 2015. 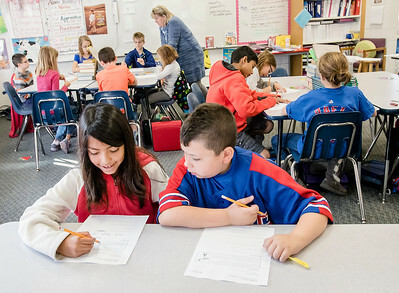 The school has a system for new social and emotional learning. FRG District 3 is implementing a new Positive Behavior Intervention and Supports program this year, which is a component of the state-mandated Response to Intervention focused on emotional and social learning.